heads up, angelenos! our favorite local sandwich shop, mendocino farms, is rolling out a new vegan special at all of their locations tomorrow. as you probably know, we here at QG are obsessed with sandwiches, and this one looks incredible. i know i can’t wait to try it. i gotta find a way to get downtown or to marina del rey this week—this thing looks way too good to pass up! 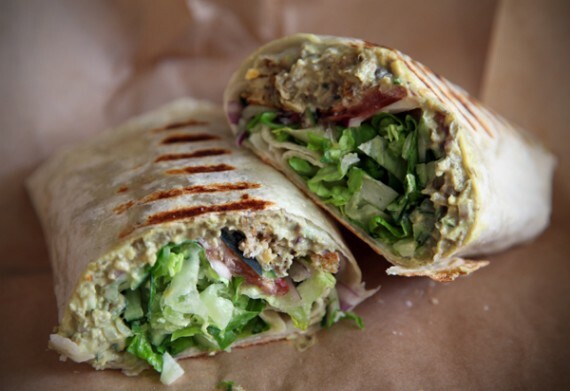 go support mendocino farms for their always inventive and delicious vegan options. 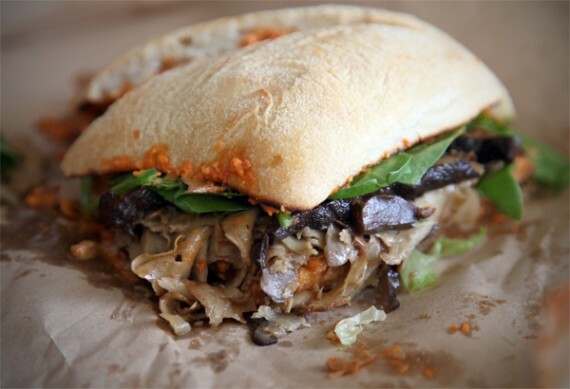 mendocino farms vegan sandwich summer showdown! 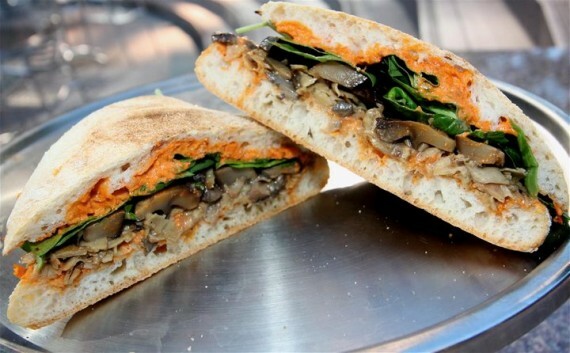 starting today and running through the rest of the summer our favorite LA sandwich shop, mendocino farms, is having a vegan sandwich showdown! 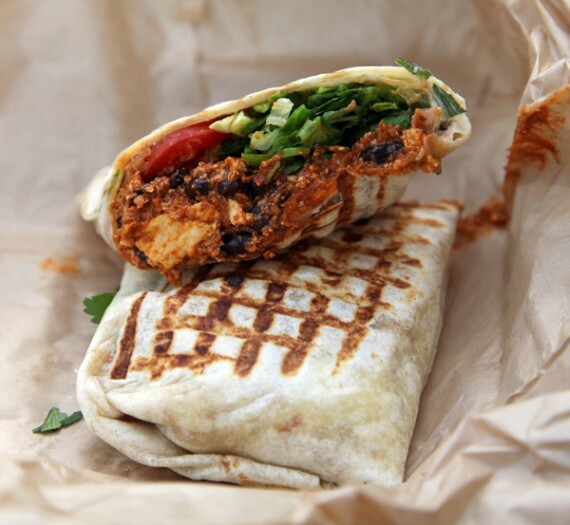 the vegan spicy soyrizo is battling it out with the vegan shawarma to see who will get a spot on the permanent mendo menu. 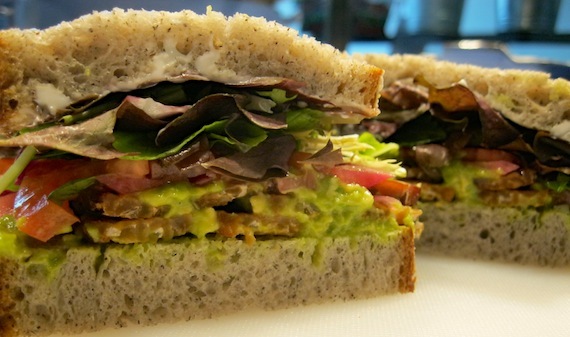 vegan sandwiches this month at mendocino farms! january is a good month for vegans at mendocino farms. 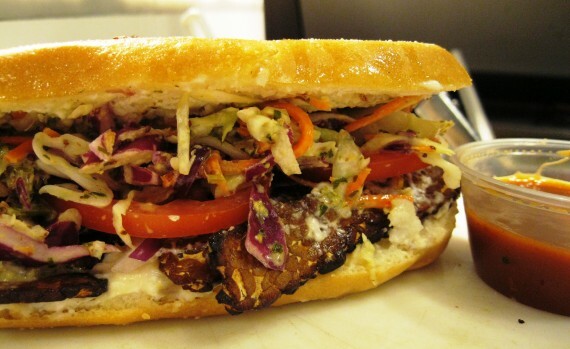 the popular sandwich shop has not only added a great seitan option to their seasonal menu, but they are offering their famous vegan shawarma as their “secret sandwich” all month long! we have been fans of the downtown LA mendocino farms locations for ages, and recently we hit up their newest spot in marina del rey for a round of vegan sandwiches. i’m happy to report that the food was awesome, the service was friendly, and the line was shorter than the ones i’m used to downtown. 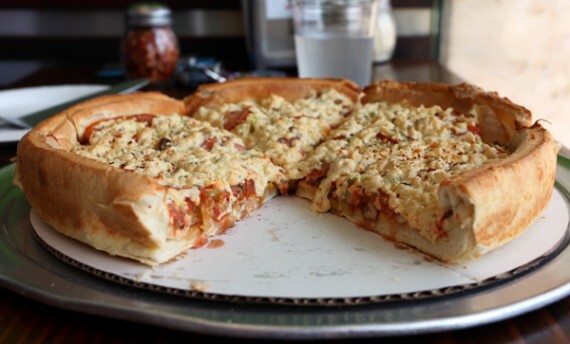 vegan deep dish pizza at fresh brothers! just last week i was complaining about the fact that there’s nowhere to get a vegan deep dish pizza in los angeles, when this @ reply magically showed up in my twitter feed. 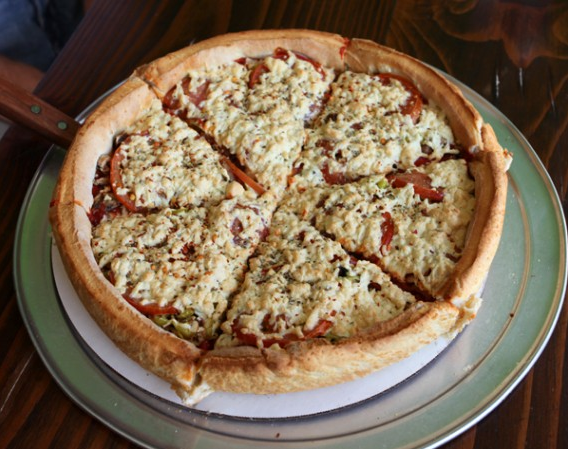 lo and behold, fresh brothers makes a daiya-filled deep dish, and it is bloody fantastic!